Alec Marken is an accomplished performing artist, and multitasks in his careers to an amazing degree. An actor, dancer, choreographer, Ballroom instructor, Swing band leader, singer, musician, model, performance artist, aerial (Tissu) artist, MC, concert producer, and comedian...he stays busy. Currently, you’ll find Alec teaching Swing group lessons at Impulse Dance Center, every Friday except the first Friday each month in Aliso Viejo. He also frequently teaches Ballroom privates around SoCal. He can be found heading his Orange County Swing band GOT THAT SWING! (lead singer), his second band after many years with his folk rock band Deep Stirrings (songwriter/lead singer/rhythm guitarist)...producing music/Belly dance/peace concerts called Bands & Bellies (link is below)...playing djembe (African drum) in the Bellydance/drum duo called Global Groove...dancing here and there with the legendary dancer/choreographer Chester Whitmore...and performing duets with his adorable Ballroom partner Sarah Aisha. Alec has studied, performed, choreographed and taught a wide variety of studio, ballroom, and cultural dance styles. Training has come from colleges, private studios, ballroom studios, social dancing, and membership in professional dance companies. 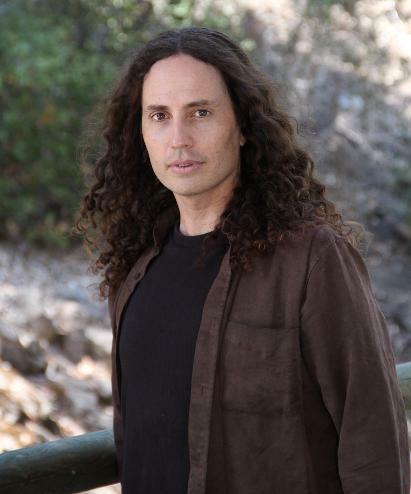 Videos of his work and performances can be found on his Youtube channels, listed below. Contact info can be found below the list of links to Alec's many activities! Alec Marken will entertain you! Book Alec's Swing band, GOT THAT SWING!, one of the most entertaining bands in SoCal! Book Sarah Aisha and Alec Marken to come perform and/or teach at your event! Book the theatrical Bee's Knees Speakeasy Show & Swing Dance! 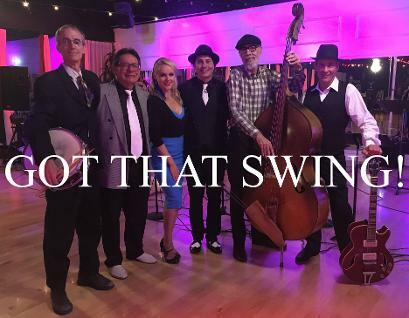 Featured band: GOT THAT SWING! Peace, Love, Carpe Diem, & ART!!! 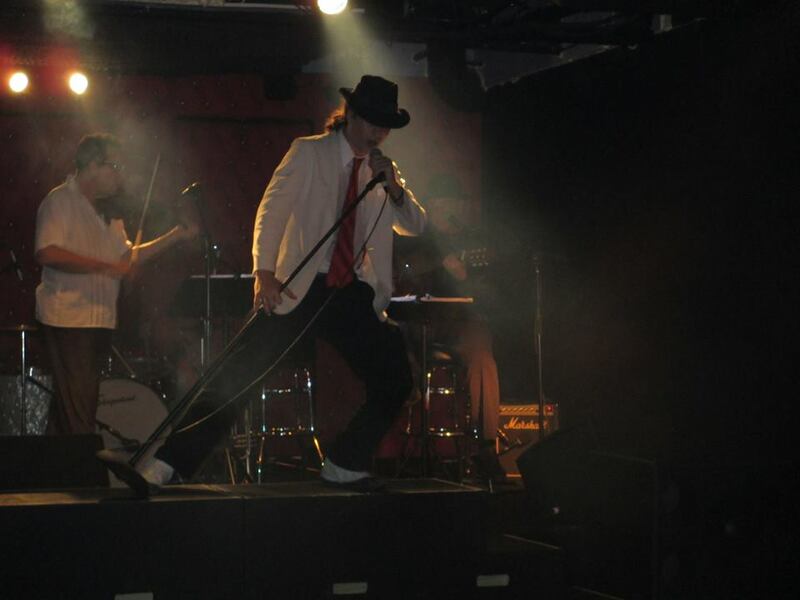 My bandmates and dance partners and I frequently perform at public/private events. To stay abreast of my band shows, click the "Bands' mailing list" signup link, above. For dance performances, click the "Dance mailing list" link. For Bands & Bellies Peace Concerts info, please visit those links. LIKING and visiting my various Facebook fan pages will also help you stay up to date with my performances/classes/events. My mates and I are often working hard on our latest performance/project, and invite you to join us for this journey. Come, and be entertained. We love to meet our audience, so be sure to introduce yourselves afterward! I am offering affordable private social dance/ballroom/wedding dance lessons while in and around Orange County (I travel at times for performance work). Additional $25 fee for private lessons taught at your location if a 1/2 hour or more away from Mission Viejo. Group rates, special event rates, and wedding dance lesson packages also available, please call to discuss. I am a professional dancer and ballroom instructor, specializing in Swing/Lindy Hop. I have performed and am qualified to teach all East Coast Swing varations (Lindy, Charleston, Jitterbug/Single Step, Balboa, Triple Step, Shag), as well as Salsa, Cha Cha, Argentine Tango, Waltz, Foxtrot, and Rhumba. Learning to dance is like learning a language. I believe it should be fun, nuanced, and challenging, with focus on body mechanics, connection, creativity, rhythm, and musicality. Originally from NorCal, I have been living in SoCal for a long time, working as an actor/dancer/musician/singer/Swing band leader. I often dance Swing and Jazz for Chester Whitmore, a world famous Tap and Swing dancer/choreographer. 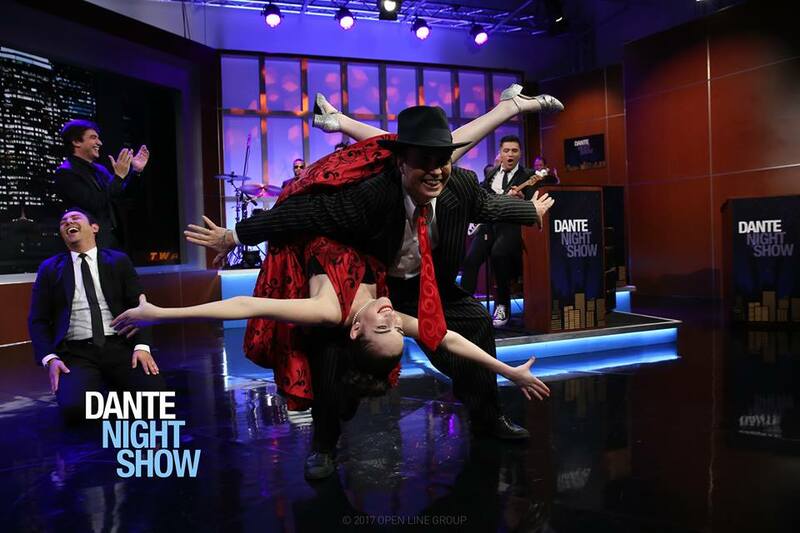 My training includes some of the best Jazz, Tap, Ballet and Ballroom instructors from LA and OC, at various schools and studios, including years at Arthur Murray. Regarding my teaching style, I am a very warm, encouraging, witty instructor. I have worked professionally with all ages, from children to seniors, and I challenge my students to accomplish as much as they are capable of, in the time I have with them. I look forward to hearing from you, and teaching you some great dance moves! My goals and my passion are to work hard, entertain our fans, give our students quality, fulfilling experiences, and just plain have fun. We are excited to be performing frequently, and hope to see you soon at a show or class – take a look at my links above, and feel free to drop me a line via the "Contact Us" link.